Current Style Favourites | emma etc. 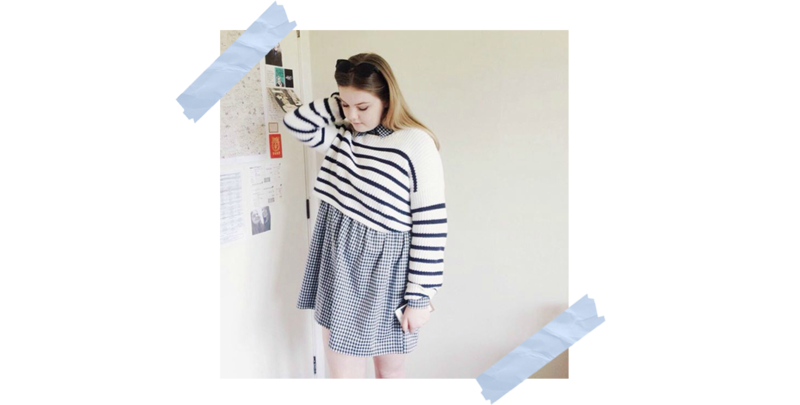 I thought rather than the regular outfit post, I would talk you through some of my style favourites - e.g. how I like to wear things day to day. I hope you find a little bit of inspiration while reading/looking! I am a huge lover of stripes - if you know me you'll certainly know that. The other day I paired this cropped navy and white stripped jumper with my gingham/checkered dress that I got from an Opshop (originally from Boohoo though). In a weird way I've discovered mixing a big print with a little one works quite nicely! T-shirts with slogans, graphics or an ode to something wonderful are my absolute favourite. This summer I predict I will be wearing comfy shirts with cute illustrations like this one from society 6/cactei store (inspired by my fave film Submarine of course) or oversized shirts with cool things on them like an ode to Back To The Future. 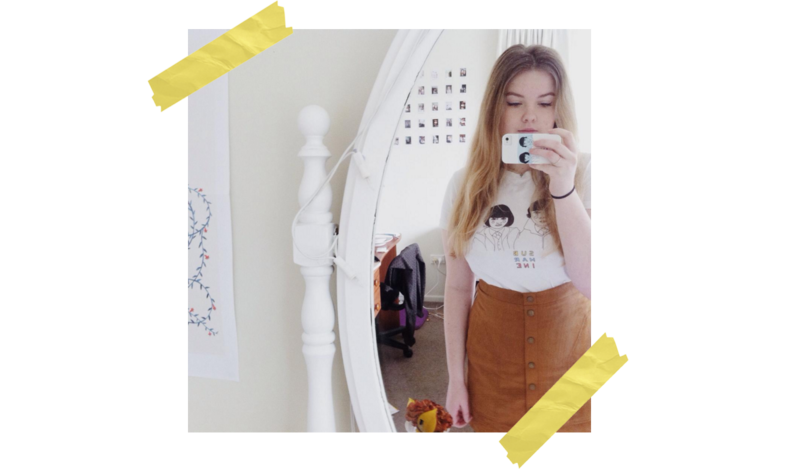 I feel like you can get so many cute shirts from society 6/etsy/opshops and your equivalent to Kmart! (p.s. I have my eye on this shop and I want everything from it (cute quirky shirts included). 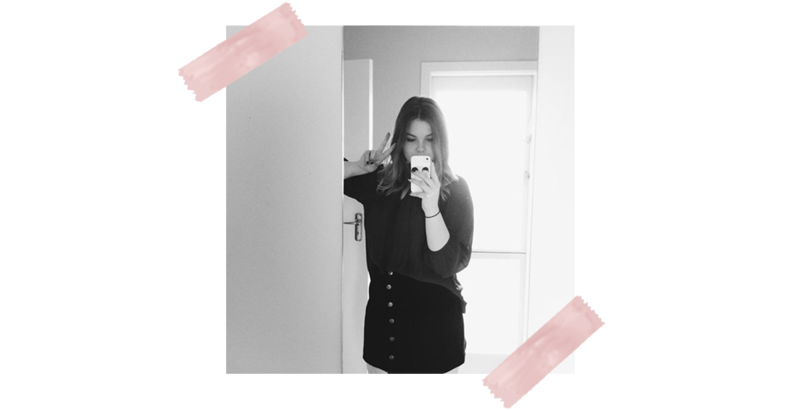 Button up skirts are a thing (as I'm sure you've noticed) and I am a rather big fan of them. They work well with any kind of cropped or oversized top and there's just something about them that makes me think I can look like Alexa Chung. Let's be honest. 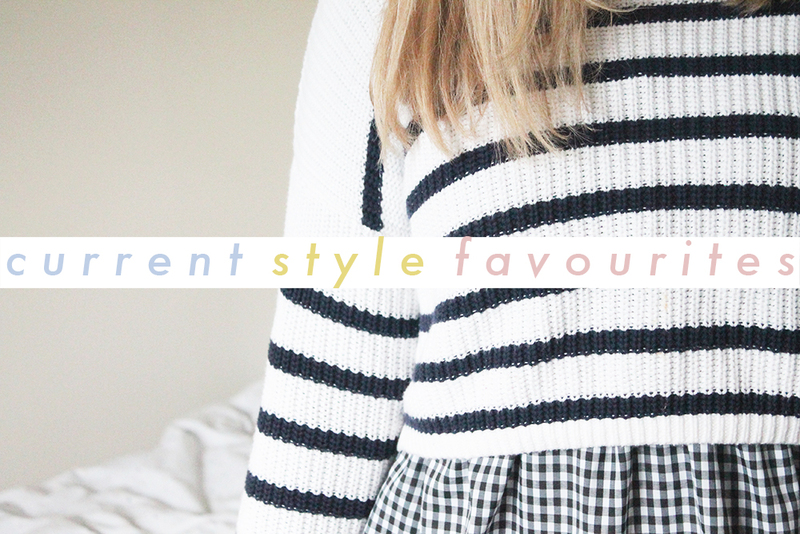 What are you current style favourites?